What’s changing, what’s not, and why we need to rethink! Most of the law governing this area comes from the Succession (Scotland) Act 1964. Since then, society has undergone significant change, particularly in the range and diversity of family structures. This has led to a number of attempts to review this area of law, to ensure it more accurately reflects the reality of our society and expectations of modern families. The road to reform has been a long one, and the Scottish Law Commission carried out reviews in 1990 and 2009 without resulting in fresh legislation. In 2014, the Scottish Government decided to progress reforms in two phases: (1) largely technical changes and other minor updates, which were enacted in the Succession (Scotland) Act 2016, and (2) a weightier consultation on substantive changes in the law, which closed on September 2015. The Scottish Government’s response to that consultation has just been published. what rights should be given to a person’s surviving cohabitant. There was also the significant proposal that the distinction between heritable and moveable property be removed, which would have a major impact on the way in which the law answers the above questions. A number of other significant rules also came under the microscope. The Scottish Government has decided to make some significant changes, however, it also recognises that there is a lack of consensus in several key areas, where they say that they will take “a fresh approach” and launch a further consultation. If a person dies intestate, their surviving spouse/civil partner should inherit the whole estate if there are no surviving issue (children, grandchildren and so forth). A person’s capacity to make or revoke a Will shall be determined by the law of the testator’s domicile. The rule on aliment jure representationis will be abolished, which presently allows a person who is entitled to receive aliment from Person A to claim for aliment against someone who succeeds to Person A’s estate. How an intestate estate should be split if there is both a surviving spouse/civil partner and children/issue. Where there is a spouse and issue – should the spouse get the first £300,000 of the entire estate? This “threshold amount” was controversial during the consultation. Claims by cohabitants – there will be 12 months in which to raise a claim, rather than the present 6 months; however, the principles of the claim will be re-examined. The “equitable compensation” doctrine will be reviewed in relation to intestate succession. Whether a time limit should be applied for temporary aliment, a rarely used payment out of an estate to allow a widow to continue to pay bills etc. Testate succession and agricultural business: proposals to create different rules for claims against estates including land-based businesses would produce difficulties in maintaining a universal and fair system. No removal of the distinction between heritable and moveable in intestate succession. No change in a cohabitant’s right to claim in a testate estate (i.e. there is no claim). 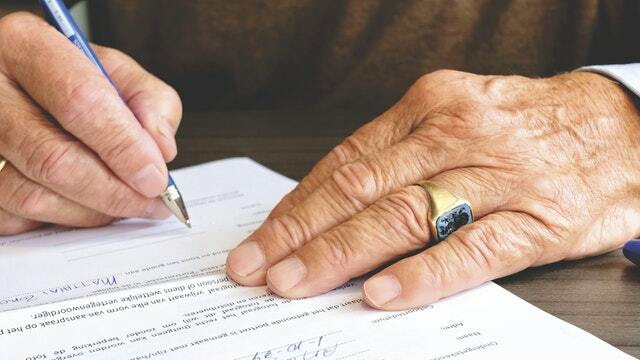 The condito si testator sine liberis decesserit, which allows a child born after a Will was drawn up to challenge the Will if they are not included, will not be abolished. A marriage/civil partnership will not revoke an earlier Will. The Court will not have the power to refuse to confirm an executor nominate, and so this remains an ‘administrative’ function. It is no surprise that opinions were divided on many aspects of the 2015 Consultation, and so it was always going to be challenging for the Scottish Government to immediately distil this into satisfactory legislation. That is why the laws have gone unchanged for so many decades. It is, therefore, no great surprise that many of the big questions remain unanswered. It appears that we can look forward to a mixture of legislation and further consultation in the next period, so watch this space for further updates! Written by Blackadders Private Client Solicitor Rachael Delaney and Trainee Solicitor Corah Edgar.